What are the requirements for a just response to criminal wrongdoing? Drawing on comparative and empirical analysis of existing models of global practice, this book offers an approach aimed at restricting the current limitations of criminal justice process and addressing the current deficiencies. Putting restoration squarely alongside other aims of justice responses, the author argues that only when restorative questions are taken into account can institutional responses be truly said to be just. 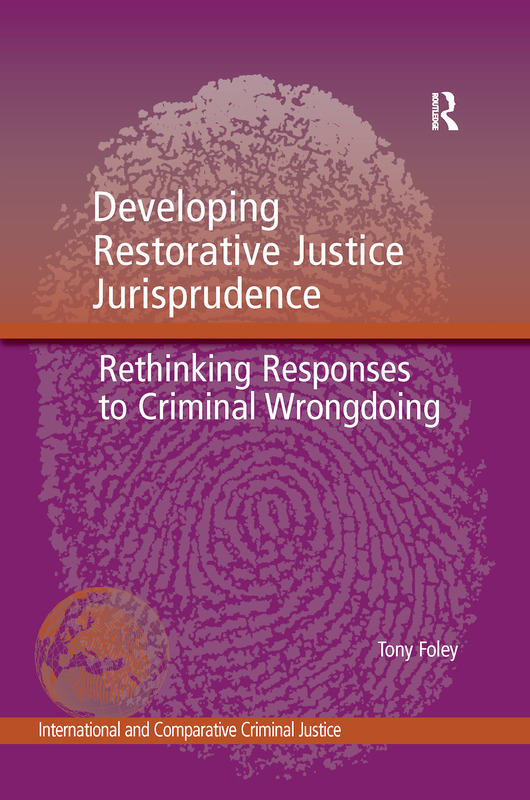 Using the three primary jurisdictions of Australia, New Zealand and Canada, the book presents the leading examples of restorative justice practices incorporated in mainstream criminal justice systems from around the world. In conclusion, the work provides a fresh insight into how today’s criminal law might develop in order to bring restoration directly into the mix for tomorrow. This book will be of interest to undergraduates, postgraduate researchers and lecturers, as well as lawyers who work in the field of criminal law, criminologists, social scientists and philosophers interested in ideas of wrongdoing and criminal justice responses to criminal offending. Tony Foley is Associate Professor in the Australian National University College of Law. His research interests focus on the operation of the legal system, its limitations and possibilities. These interests are diverse, including institutional responses to criminal wrongdoing; restorative justice and juvenile justice; ethical practice in lawyers; and the work of court interpreters. His perspectives are similarly diverse - as a legal academic teaching and researching in clinical legal practice and the legal profession; as a lawyer practising in criminal law and as a tribunal member adjudicating environmental administrative disputes.